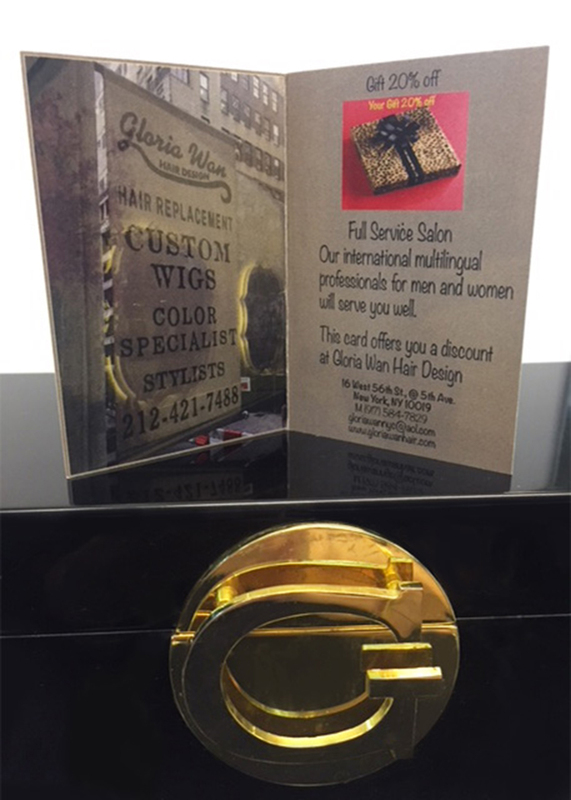 Certifications: Certified in Hair Color & Hair Replacement, Certified Master Barber & Cosmetologist | Hours: Monday - Saturday, 10:00 a.m. - 6:00 p.m.
Gloria Wan Hair Design was established over 20 years ago. 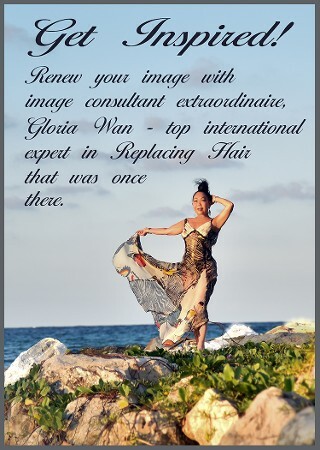 Not only is Gloria Wan an image consultant in the field of hair replacement, she is a master barber and cosmetologist. As the manager of her hair salon in New York City, Gloria is able to be a hands-on stylist who books appointments herself, making sure she is always available to her clients. Gloria Wan Hair Design is an intimate and elite salon where the owner/operator is available to consult and to fulfill each individual’s specific needs. Take advantage of our free consultation by appointment only for all new clients. Gloria Wan, a self-made entrepreneur in the field of non-medical hair replacement for enhancing thinning hair, uses her natural, creative ability and visionary expertise to revive her client's sense of confidence. 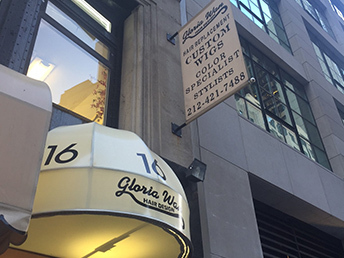 Gloria’s artistry and acuity in business led her to transform a 2000 square foot, demolished 2nd floor storefront into the unique and elegant midtown establishment she operates today. Her gracious, warm nature and hospitality makes her clients feel at home. Her concept in design is for her client's comfort and privacy. The salon accommodates a diverse clientele of professionals including T.V. Anchors, Pulitzer prize-winning authors, politicians, artists, and all who seek to improve their beauty image. Her exceptional skill in hair enhancing methods and keen eye for detail led her to photography, inspiring her to capture and document her work in print, and can be viewed on the website she designed. 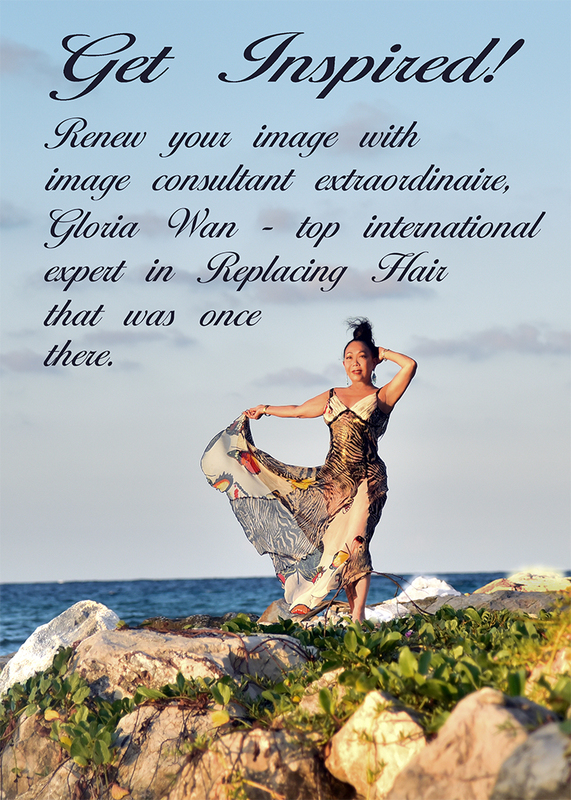 Get Inspired!Let Gloria Wan renew your image. She’s the consultant, cosmetologist, lady barber, and top international expert in replacing hair that was once there. Visit her website at gloriawanhair.com and call for your consultation at (212) 421-7488. Send emails to gloriawannyc@aol.com. Consultations by appointment only. At Gloria Wan Hair Design in New York City, we work primarily with non-medical hair replacement and custom-made wigs in our wig shop, but we also offer hair salon services that will make you look and feel great. 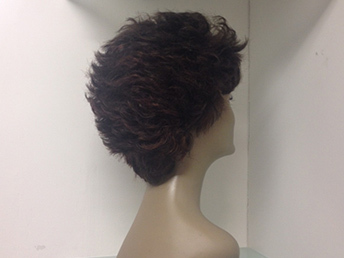 We make, style, and design custom wigs, and we also carry cost-effective ready-made wigs. Call us today for more information. 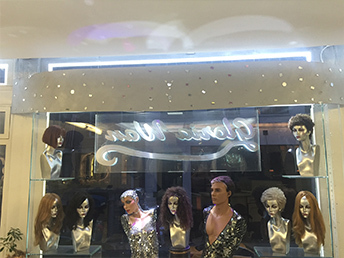 Services Include: Non-Medical Hair Replacement, Hair Replacement Service, Hair Weaving, Hair Extensions, Custom Wig Designs, Custom Wigs For Chemotherapy, Men's Toupee, Hair Replacement Consultation, Hair Piece Designer For Men & Women, Thinning Hair Enhancement, Hair Coloring, Hair Styling for Men and Women and Hair Bonding.